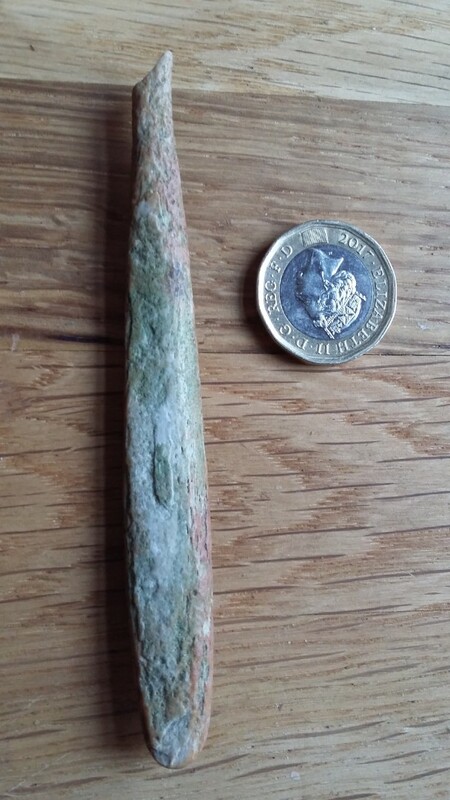 Shop > Categories > British Fossils > Petrified bone - identification help? Hello, can anyone help identify this further, please? It seems to be petrified bone. Found at Burntisland, south coast of Fife. Hello and welcome to the forum. 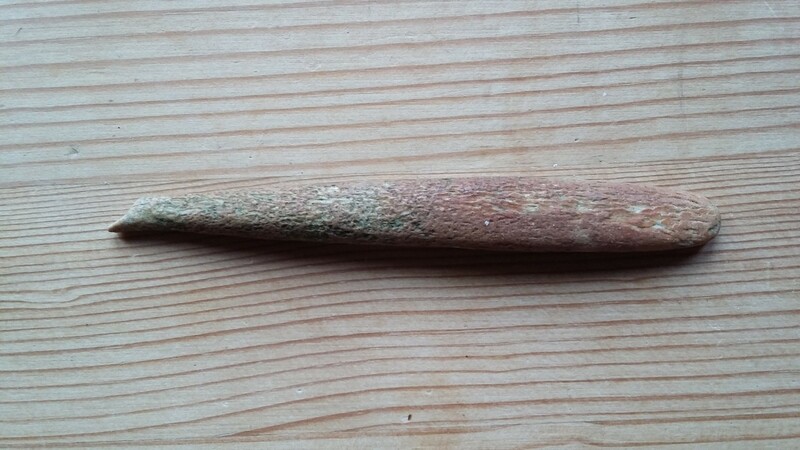 I think this has been 'worked ' by someone - it reminds me of a tool used in pottery, but may be Archaeological interest. Thank you. I've been trying to think of what it reminds me of, and that is it -- a pottery tool. Might be a bone awl. I'll have it checked out.